Do you ever have a tough time choosing between your classic favorite foods and new, exciting flavors? Stop feeling torn! Yahoola Creek Grill is known for its "Creative American Cuisine" - putting a new spin on all of the dishes that your tastebuds know and love. 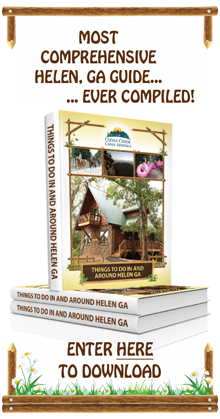 Located just southeast of downtown Helen, this popular and unique restaurant is one of the best places to eat, drink, and be merry after a day of exploring the gold mining history of Dahlonega. There's a reason why Yahoola Creek Grill draws visitors from the Helen area: it has an incredible selection of superior appetizers, main dishes, drinks, and desserts. Start things off right with authentic southern fried green tomatoes, fried dill pickles, sweet potato and beet kettle chips, or hummus. For those looking to enjoy a light lunch or dinner, you'll be pleased to see that the menu offers a huge selection of succulent salads. Veggie-rich and classic chopped, spinach, and Caesar salads are available, but you'll also be able to choose from more original dishes including the grill's crab salad, or ribeye steak salad. Pair it off with a cup of homemade soup, wrap, or sandwich to round off the meal. You'll find just about everything, from BLT Panini, burgers, grouper sandwiches, turkey melts, and old fashioned meatloaf sandwiches. Entrees are sure to please your palette, as well. Choose from fresh fish and seafood dishes like grouper tacos or shrimp and grits, or stick with the main land as you dig into chicken pot pie, pork chops, chicken and waffles, or steak. And don't forget to come by for Sunday Brunch, featuring mouth-watering French toast, omelets, waffles, and more! With so many incredible options, you may need to come back for a second visit! The food at Yahoola Creek Grill is always affordable and well worth the value, but the restaurant's lunch, weekend, and holiday specials really take things over the top. No one wants to spend an arm and a leg for lunch, which is why the restaurant offers a special $5.99 lunch menu offering soups, salads, sandwiches, and more. Weekend specials change from time-to-time, but are always posted on the Yahoola Creek website, so be sure to check it out before your visit so that you can enjoy savings on mouth-watering dishes like Baked Crab Au Gratin or Mediterranean Filet from Friday night through Sunday evening. Special holiday menus are also generated by Chef Rick to ensure that you can enjoy a memorable dining experience with loved ones one a budget you can afford. Enjoy great food and music when you choose to dine out on the deck when local entertainers like Chuck Bell play all of your favorite hits by artists like Elton John and Barry Manilow. For those who prefer to dine indoors, though, you can always stay on top of what's going on in the world of sports when you watch the game with the crowd of other fans on the restaurant's 60 inch TV. 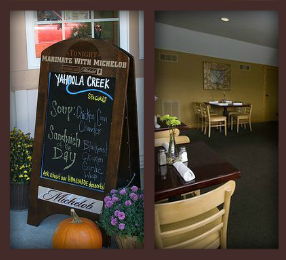 Yahoola Creek Grill is also one of the top places to eat in the Helen area that is capable of hosting events and milestones in your life. If you're vacationing to celebrate a graduation, anniversary, birthday, family reunion, or wedding, you might consider holding the event here. 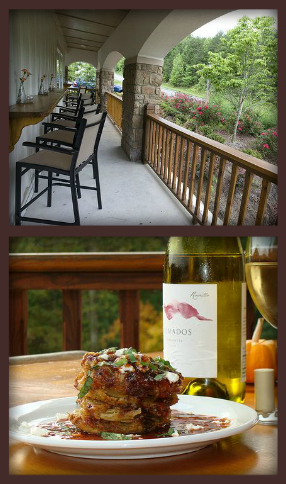 Are you interested in adding Yahoola Creek Grill to your list of places to eat during your trip to Helen? Let us know if you have any further questions and we'll be happy to help you better prepare for your visit.